The big question : Why should we hire YOU for our wedding? Why should I be your wedding photographer? Because I will take care of you as if you were my family. I will help you craft a timeline that allows your day to be your day, just how you want it. Because I will be here for you, as a resource with almost two decades of experience (and that's a lot of weddings!) Because weddings can be stressful and overwhelming, and I will be right with you the entire time - I promise. I'll be your problem-solver. I'll be your family-wrangler. I will be your advocate. 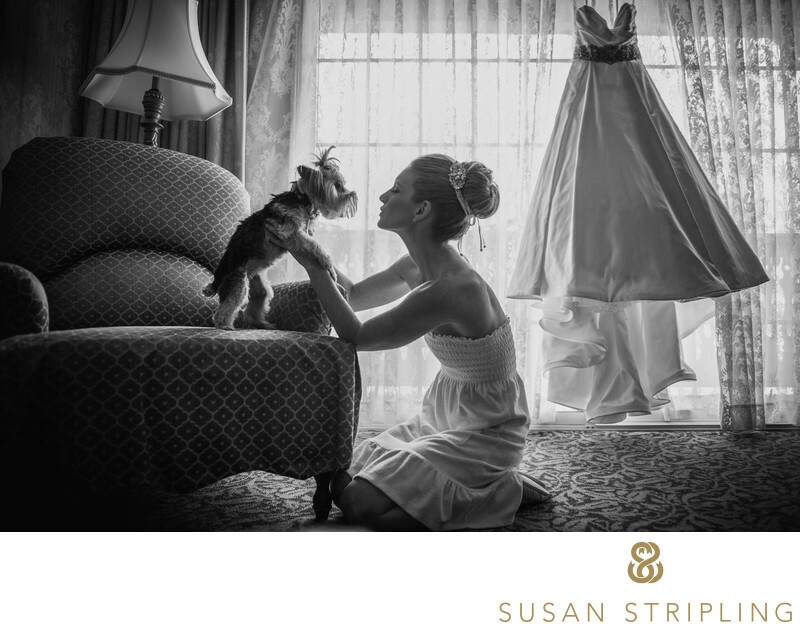 I will help ensure that your day is exactly what you want, captured as beautifully as you deserve. I will be your eyes on your day, so that you can focus on the amazing gathering of everyone you love best in the world and trust that your photography is in extremely skilled hands. If it rains, if it snows, if it gets dark early, if your venue is unexpectedly covered in scaffolding, if hair and makeup run late, if we get stuck in traffic - I've got you, and your images will still be amazing. My job is to take great pictures for you, yes, but also to help remove all of the stress from your wedding day so that you can enjoy it completely! I am often asked questions involving my prices, travel policies, timelines for delivery, albums, and other wedding coverage details. I've compiled the most-asked questions here for you. I hope you find these answers helpful! Please don't hesitate to contact the studio if you have any questions not answered here. I hope to hear from you soon! I can absolutely understand wanting to find pricing information without having to ask. Truly I can. My rates and collections aren't listed for public viewing on my site for a variety of reasons. First, rates and collections vary by location. Some weddings outside of the NYC/Long Island/New Jersey/Philadelphia area require travel, which would not be included in a local wedding rate. Destination weddings are different as well. I also create custom collections for many clients, which is something that I can absolutely do for you! If you'd like to obtain collection details for your wedding, simply drop me an email and I will send you all of the information that you need! I promise to respond ASAP, and I look forward to chatting further! Sometimes yes, and sometimes no. Allow me to explain! I spent the last almost twenty years shooting weddings as a solo photographer, and have since added several extraordinarily talented associate photographers to the studio. They are wonderful documentary photographers, and great assets to the wedding day coverage when the day requires a second vantage point! Wedding day coverage always has an assistant who does light photography, but some packages have a second photographer as well. Elopements and engagements are all solo-photographer coverage by myself. Yes, I do! Every image that you receive has been hand-edited, one at a time, without batching in bulk groups or mass-producing the results. My highly trained editing team also often selects a few favorites for special attention above and beyond the individual image editing. I live in Brooklyn, New York - which is where my studio is. I also have a home base just outside of the Philadelphia area. I've been all over the world to photograph weddings, to the Caribbean and Bahamas, to South America, California, Wisconsin, Georgia, my former home state of Florida, North Carolina, France, Finland, and many, many other places. I am a destination wedding specialist with tons of frequent flier miles and a keen ability to fall asleep sitting up on a plane. I am very, very comfortable traveling for events. Rest assured that should you commission me to cover your wedding and travel to you then you are hiring someone very experienced with travel for business. Travel is billed very simply - if airfare and hotel and rental car are needed, all you are responsible for is a direct reimbursement for the charges. In terms of local weddings, I have a car, and I love to drive. Really, I do! We do. We have a very talented videographer on staff, and I would be glad to send you her information if she is available for your date! My assistant photographer functions as both a photographer and an assistant. He or she is a second vantage point for many of the key moments of the day, while providing aid with lighting, organizing, and managing logistics of other key parts of the event. Do you have past clients we can speak to as references? I can absolutely understand why you'd ask this. After all, if you're applying for a job, it's customary to list your previous places of employment as references. I don't provide client references to prospective wedding couples for a few reasons. First of all, any reference I would give you would be biased - of course I'd choose clients that I know would speak most glowingly about myself and my services! Second of all, I truly respect my clients' investment in my services and work, and could never ask a client to market for me on their own time. I'd also recommend that you talk to any vendors you have already commissioned for your wedding date and ask what the experience of working with me is like! I would love to help you with this, but the answer is that I'm not sure. If you're getting married on-site, the chances that you'll need a permit are very small. If you're leaving your venue and going somewhere else, a permit might be required. There are many places that do require you to get a permit (Philadelphia's Washington Square Park and New York's Grand Central Terminal come to mind), but the permit has to be obtained by the client, not the photographer. If you have a question about a location, just let me know and I will help you figure out if a permit is needed. If we try to shoot in a location that requires a permit, and we don't have one, we'll be asked to leave. I don't want that to happen to us! Can some of our photos be delivered in both black & white and color? They can! ALL images are delivered in black and white AND in color! This way you can choose between the two! Online galleries are posted within six weeks of the wedding date, and this is when your digital files are released as well. If you have printed proofs in your collection, they are available three weeks after your gallery goes live. Upon final approval of album designs, most albums are ready for delivery within twelve weeks. They are not. The high resolution files do not bear any watermarks. The number of photographs taken depends on many things - the number of guests, hours of coverage, types of events, hours of dancing, and so forth. My average for an eight hour day with a second photographer is 650 images, but those numbers may vary depending on the day itself. If you have questions about image quantity, I'd love to hear more about your plans! This would help me provide you with a more detailed explanation and estimate. I provide the selected, edited high-resolution digital files (the digital equivalent of negatives). When the files are released to you, I can provide you with a list of resources from which to get quality prints if you so desire. I do retain the copyright to the images and the right to use them for promotional purposes, competition, professional review, and so on. If you need, I'm glad to provide you with a written release that will allow you to make unlimited personal reproductions and copies for your friends and families. Copyright is something that I get asked about often. Many photographers include a "copyright release" in their contracts, which generally just means the same as a release to have your images printed by yourself, or any lab you choose. That's not the same as obtaining copyright! Copyright simply means that I am the creator of the images, and I "own" the copyright. Selling or obtaining "the copyright" is not possible, but you will have the ability to print and share your images as much as you'd like! The raw, unedited files aren't available for viewing or purchase. This is very much like asking your caterer to give you the leftover ingredients used to make your dinner! The images selected for editing and final delivery reflect my very high standards and everything else isn't archived in the studio. Please rest assured that any images not delivered truly are outtakes! We do not cull to meet a certain number of delivered images, so every viable image is edited carefully and delivered. Can we see the outtakes and all of the images that didn't make the "final cut"? The images delivered to you are very loosely edited, taking out only eyes-closed, flash-didn't-fire, person-walked-in-front-of-the-lens true outtakes. If there are a handful of images of you together with your mom laughing, for example, I'm going to include everything that isn't an absolute duplicate and so forth. The images not selected aren't archived and therefore aren't available. Rehearsal dinner coverage is available if you'd like to add it to your collection; otherwise I don't attend the rehearsals. 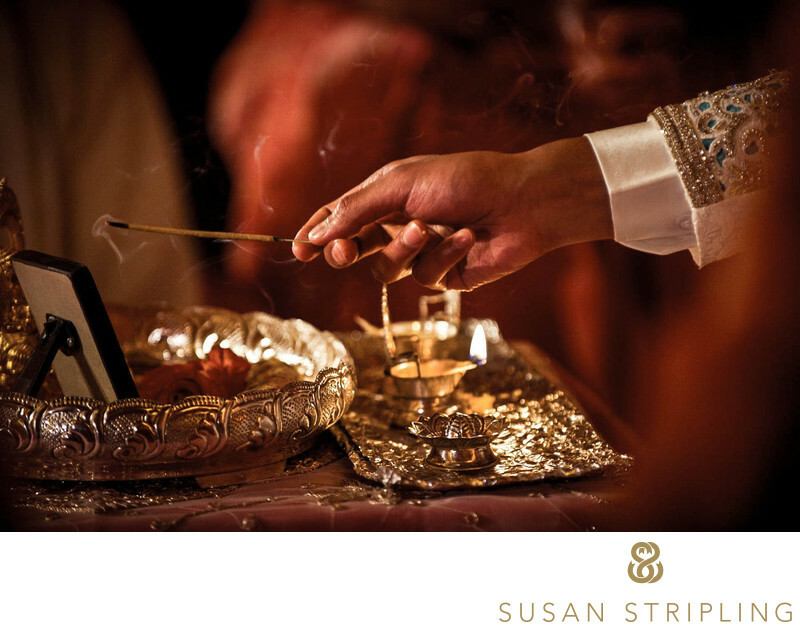 We will talk about the timing of your day and the flow of the event, and one of the things is the ceremony. I'd love to hear about the timing of the ceremony itself, but please rest assured that not attending the rehearsal doesn't impact your coverage in any way! What if we want to order extra prints? How does that work? Your digital files are delivered via direct download in a password-protected online image gallery. This is also a cart/ordering system for prints. You can order extra prints directly through your online gallery. Since you will also have access to your digital files, you can order prints yourself at any lab you choose. We highly suggest that you order through our lab, as we can make sure the prints go through a rigorous quality control process. We cannot guarantee the quality of any prints that are not created through our preferred lab. If you'd like to print images yourselves, please let us know and we can recommend some labs that we trust! My wedding album is one of my dearest possessions, and we are so excited to create wedding albums for our clients. They're a tangible, beautiful record of the day your life began as a family. We know that life often gets in the way of creating these heirlooms, so we promise to make this process as easy as possible for you! 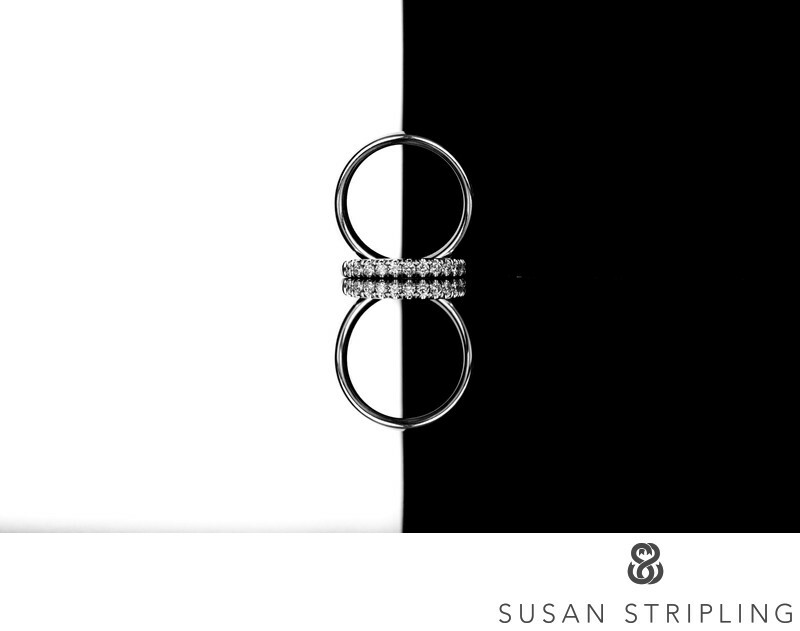 Starting in 2016, we've begun pre-designing client albums as a courtesy to you. We will include your album design when delivering your digital files and online gallery. After you've had a chance to look at your album, we'll set up a time to Skype, Facetime or meet in person to finish your design. What will my album look like once it's completed? With the fresh, modern books I design, the images are printed directly onto the pages, much like in a coffeetable book you'd buy at the bookstore. I strive to keep the designs clean and classic, creating a book that will be a heirloom for future generations.I do have a few options for upgrades to a matted album, should you like that more traditional style! What is the "online gallery" you mention in your collections? 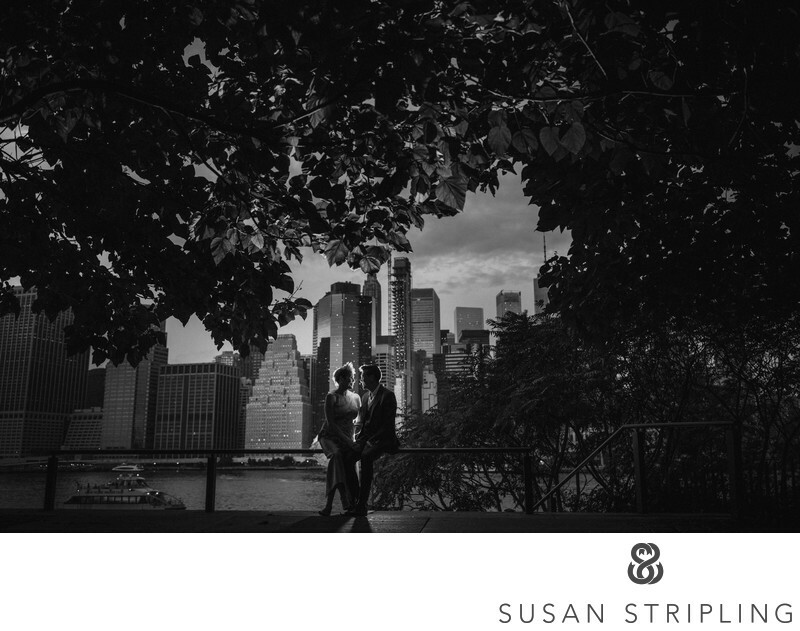 The online gallery is a private, password protected section on my website where all of your wedding photographs will be placed online for you and your family and friends to view. It is also a secure shopping cart - which allows you (and your family and friends) to order prints and cards and select album prints online. All you have to do is provide the password to anyone who you want to be able to view the images. It's also the way we deliver your wedding day digital files. You'll have a download option with a PIN, and can begin downloading the second you receive the gallery! We want everything documented! Can we have more images? Please understand that the galleries all vary based on many different things. Length of the day, amount of coverage, number of events covered in a day, rehearsal dinner coverage, full weekend coverage, etc. Every wedding is different and all are covered to my best ability - and since each is different each will result in a differing number of final images. If you're concerned about the coverage, you can always add on a second, or even a third photographer to document alongside myself! Yes, I do! I adore engagement sessions! Please take note that most engagement sessions have to be done Tuesday-Thursday because of a heavy wedding schedule, but there's occasionally Friday or Monday availability. Sessions are photographed either in Manhattan, Brooklyn, or the Philadelphia area. I'm available to travel elsewhere for your engagement session (and would love to! ); certain travel rates may apply to areas outside my usual geographic location. The sessions are generally shot at 3pm during the winter months, and 4:30 or 5pm in the summer months. Night shoots are available on Fridays only, and an additional fee may apply. If you have any questions about your engagement session, please don't hesitate to contact me! I hope these frequent style questions will help explain my approach on the wedding day. While I hope the work shared in my portfolio tells a clear story, if you have any further questions about my style of photography please don't hesitate to ask. I cover weddings in a very journalistic style but I don't think photography should be limited by a "genre." While I'm very hands-off and unobtrusive in my coverage of the day, I do believe that there is a time and place for gorgeous, casually posed images of the couple together. So while I won't stop you and make you pose while cutting the cake, I'd like about an hour (or more!) alone with you both (if possible) sometime during the day to create some images of you without your wedding party or guests looking on. I also believe strongly in preserving all of the details of the wedding; from your cake to your shoes, so my work is very flush with detail images. My images of the guests at the wedding are almost 100% journalistic and I won't stop entire tables at the reception and make them pose for "table shots." I prefer instead to capture them laughing, smiling, dancing, drinking, and having a great time. Absolutely. I strongly believe in those family images, as they're records of your entire family at an important time in their history together. A few weeks before your wedding I'll send you a questionnaire covering the details of the day and among the other questions is a list of posed images - these are the family groupings that I traditionally photograph at each wedding I cover. You'll have space to write in your own additional groupings. Please bear in mind that the hallmark of my coverage is journalistic and real-time, so a very long list of posed images will hinder my ability to cover the event in a documentary manner. I provide you with nine groupings and strongly suggest your final list include no more than twelve or thirteen total. These groupings are quick, easy, and largely informal and I try to make them pleasant and enjoyable for everyone involved! Can you take fewer photos that have dark shadows and bright highlights? If what you're looking for is a more evenly lit style of photography then I might not be the photographer for you. I use a great deal of shadow and light in my natural light images as well as my flash/lit images during the receptions. Please make sure that you look through all of my sample galleries provided when you inquire with me to make sure that the style you see in the galleries reflects the style that you want for your wedding day photography. Other than the family groupings, I'd prefer that you didn't - and let me explain why! It's very helpful to know what important relatives and friends are coming to your day, and if any events bear special significance, but repeated requests for posed images and having me work "from a checklist" is counterproductive to the work you've seen here on my website, and will result in a very different look to your gallery of images. "Shot lists" provided by many major bridal magazines are a great idea in theory, but please understand that I generally will capture those images without prompting. Providing me with a very long list of college groupings or high school friends or extended family at the reception will result in a lesser amount of documentary coverage and more time spent rounding up guests to check the groupings off of a list. Also providing me a list of images you've seen on Pinterest reduces my ability to capture naturally occurring moments for you, as we'd be working from a list instead of creating unique work for you. 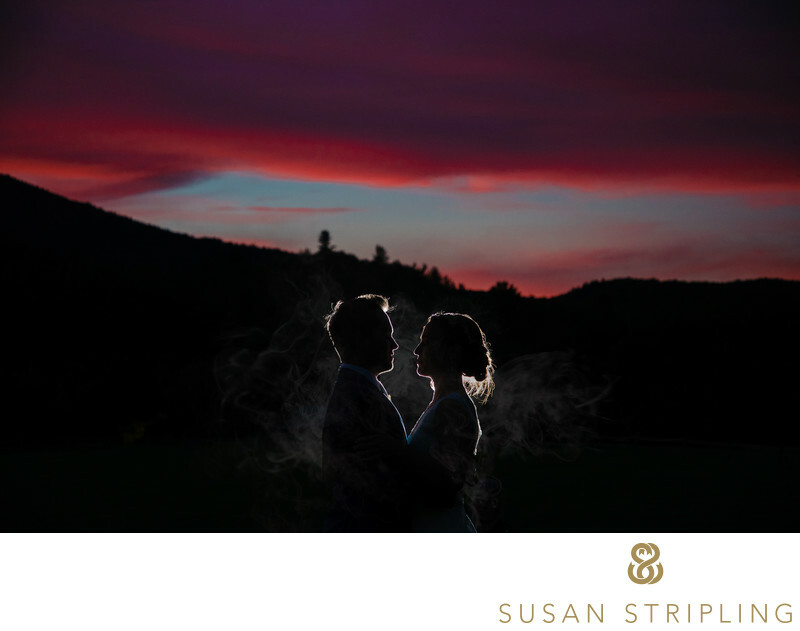 I am often asked important questions about the business side of working with me as your wedding photographer. This section includes all of those questions, from business insurance to food! As always, if you have any further questions about anything at all, please don't hesitate to contact me. Yes. Absolutely. 100%. For sure. Yes, yes, yes! I use top of the line professional Canon equipment and extensive backups. I love gear, I'm a bit of a gear hoarder. It's good for shooting, but bad for my back - gear hoarding is very heavy, you see. Can you provide my venue with a certificate of insurance? Of course. I do request that you let me know at least two months in advance of the wedding as it does take time for our insurance company to process and provide that document. Please feel free to put your venue or your coordinator in touch with me and we can work out those details easily, each venue has different requirements and we can provide certificates to meet all their needs. I've been in business since 2001 and have photographed over eight hundred weddings. And I remember them all. I really do! I've shot on beaches, in churches, on the side of mountains, on boats, in the rain, in hurricanes, and everywhere in between. I am always deeply honored when I'm commissioned to document a wedding, and I take that responsibility very seriously. I'm so sorry, but I can't hold the date or pencil you in. To be fair to everyone I can't "hold" a date without a retainer and a signed contract. I accept bookings on a first come/first served basis. A booking fee/retainer of approx. $1,500 is due to reserve your date. You'll have two more payments after that. 50% of your balance will be due approx. 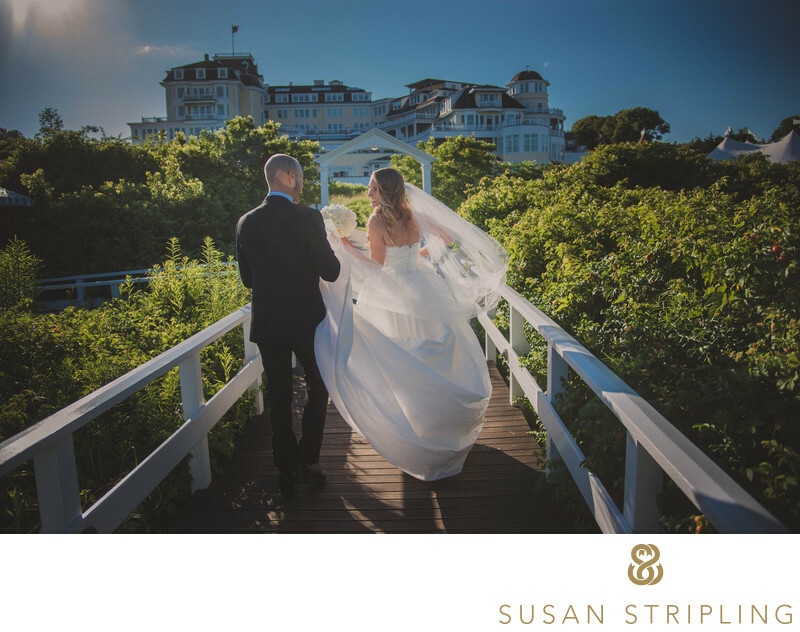 ninety days from your wedding date, with the final balance due two weeks prior to your wedding date. I'll send you an email reminder when your payments are due. I like to make things as easy as possible for you - I know you've got a lot on your plate! I do require full payment before the event. Payment for overtime, album upgrades, or additional products beyond your wedding day contract, however, are all due post-wedding. If you have any concerns about the payment schedule, I'd love to chat with you about them! The retainer fee and all monies paid are non-refundable. The retainer guarantees that I'll hold the date exclusively for you and once you've signed the contract I do turn down all other commissions for that date. If I die I can guarantee I will not be at your wedding - which would be super sad. 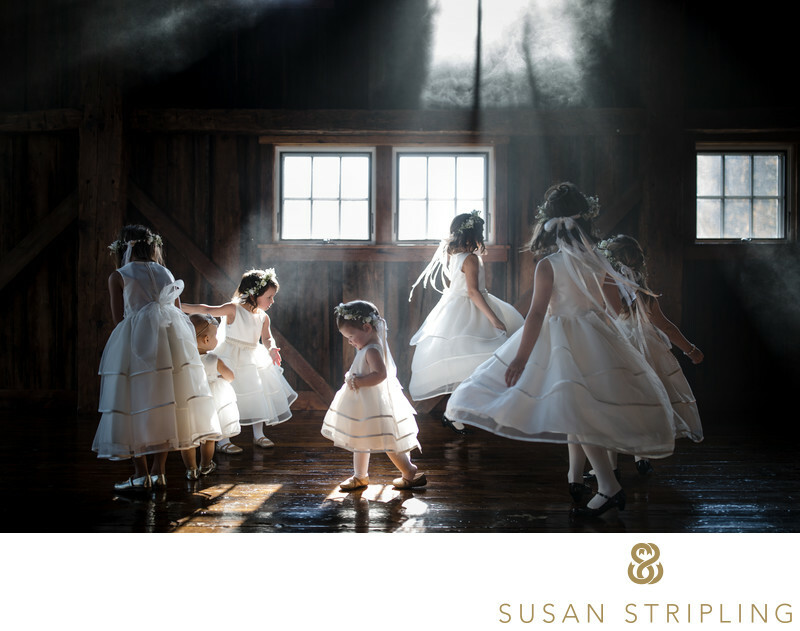 However, Susan Stripling Photography (to be honest, probably just my husband and my incredibly grief-stricken friends) will still supply you with coverage from my contracted assistant or second shooter. I'm also a member of many national and local organizations and networking groups upon which the aforementioned grief-paralyzed people could call to find you a replacement photographer. My husband is also a wedding photographer, and while my untimely demise would pain him terribly, he would be able to work to find you a suitable replacement photographer. Okay, maybe not DIE, per say, but what if you're super sick? In over a decade and a half of shooting weddings, I have never missed a wedding for any reason. Please know that I take the responsibility of shooting your wedding extremely seriously, and wouldn't just "call in sick" without a very grave, serious reason behind it. If that were to happen, we would find you a replacement photographer at the same skill level that I possess. If this is something that concerns you, please contact the studio and we can chat! I promise that this is a situation that we plan for carefully, and hope we never have to execute that plan! ASAP. Since I can't "hold" dates or "pencil you in" dates are booked when...well, when they're booked. Most of my commissions contract me within a year of the wedding date, sometimes as close as two months prior, sometimes a full calendar year or more in advance. It's easy to predict what will be popular weekends, but not always easy to predict when those weekends will book up! Surely! I do have an overtime rate and it goes into effect only with your permission and approval that I continue coverage. I'll bill you for those hours after you return from your honeymoon. Overtime includes everyone working at the event, which would be myself, my associate photographer (if one is part of your collection), and our assistant. Occasionally discounts are available but are based on time of year, my travel schedule, and availability. If you have concerns about your budgetary needs, please contact me and let me know. It would be really kind if you did, but it's not a contracted requirement. Feeding us ensures I stay cheerful, mobile, and that I don't faint from starvation, or end up eating a stale protein bar that's been in my camera bag since 2002. I prefer to be fed when you are fed, not afterwards, because when you're eating you're not at your most photogenic. And when you're done, I want to be done as well to continue your coverage. We do bring our own food and water to weddings, but a hot meal is always a lovely treat during a long work day! For those wedding photographers perusing this site - hi there! I have compiled a list of the most frequently asked questions in regards to my work, gear, vendors that I adore, and resources that will help you with your own wedding photography. I'm a photographer and I love this FAQ! Can I copy it and put it on my website? Please tell me you didn't really just ask me that. No, please don't steal from this FAQ for your site. Bad photographer! Like investing the time to perfect your photography skills takes time, writing good website copy to educate and help your clients takes time. I really care for everyone that I work with and have written this to best help them answer their questions and work on their wedding day plans. When you take this without permission it's not cool to me or your clients. I thank you for taking the time to research what questions YOUR clients need answering and writing something original to best serve them! Can I be heavily influenced by this FAQ and sort of rewrite it so that it sounds like me but uses your framework and all of your questions? You can see my entire gear list here! Do you ever teach or give workshops? Yes, I do! I have two classes available on Creative Live. The first is a three day course called Creative Wedding Photography, and you can learn more about the course and purchase it here. I also have a really fun class on sale with Creative Live, entitled Thirty Days of Wedding Photography. It is actually thirty days of wedding photography education, everything from marketing to shooting, business to workflow. You can learn more about 30 Days of Wedding Photography and purchase the course here! At this time I do not give any in-person workshops or have a mentorship program. I am also one of the founders of The Wedding School, which provides real, honest education to wedding photographer worldwide. THIS is my best resource for wedding photographers, as it is current and continually updating. If you'd like to learn more, visit our site and hop on our mailing list. Do you have any partners or sponsors? I am deeply honored to be a Canon Explorer of Light, which is one of the highest honors a photographer can be given. I have also been named a Legend of Light by Profoto. Most recently, I was chosen as a MagMod Ambassador - which is pretty kickass. Can I come watch you photograph a wedding? I totally understand wanting to just come observe, but I don't allow anyone to just come watch me work. I have a full-time assistant who helps me at weddings. I firmly believe that each wedding requires 100% of my respect and attention, and having a photographer come observe me at work is not in the best interest of the client. If you do want to watch me shoot a whole wedding, you can tag along for a whole 14-hour day in this class here! I'm coming to New York! Can I buy you coffee and pick your brain for awhile? You are so sweet to ask, but probably not. I love meeting new photographers, but my schedule doesn't often permit coffee breaks like these! All of our current job postings are available here! I built this website with the help of the team at Good Gallery. I chose Good Gallery because their sites are super fast, their mobile websites are badass, and their SEO capabilities are simply amazing and without equal. If you're looking for a website, I wholeheartedly recommend that you look at them! And, if you decide to sign up for a site of your own, I've arranged for a $49 discount code that will reduce your Startup Fee from $99 to only $50. Just enter the code SUSANSTRIPLING when you sign up! Do you really like shooting weddings? Why? Actually, I do. I have a degree in theatre, and that will always be my first love. I spent years dancing and training for a career in theatre, only to graduate from college and think "Eh, this might not be for me." A summer spend interning at a Broadway theatre and a handful of very stressful auditions later, and I knew that I didn't want to make my career as a performer. I adore weddings because they marry everything that I love about the theatricality of a stage production with the beautiful drama that is everyday life. I love witnessing moments unfold and unfurl. I love watching a day grow and swell from beginning to end. I love the delicate three-act structure of a wedding day. I'm not a swooning newbie proclaiming that I love love, but I do love weddings. Honestly. Do you have hobbies outside of the wedding world? Oh yes I do! I am a hugely voracious reader, barreling through book after book (often in lieu of sleeping). I love lifting weights, hate yoga, and barely tolerate running. I see as many theatrical productions as I can. I love to travel. I love horror movies - but the scary-ghost kind, not the slasher-jump kind. Mostly, I just love being in the presence of my family. I have a really great husband, some excellent step-daughters, and two wonderful, delightful daughters. I am also wildly, deeply, insanely in love with Chloe, who is honestly the best dog ever.